Spectre Mind: Rotating Cube by Spectre Limited. 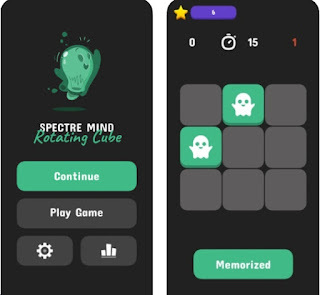 It's a game that tests your memory and your spatial reasoning. The game flashes 2 or more ghost tiles. Memorize their location. Take as much time as you need for that. 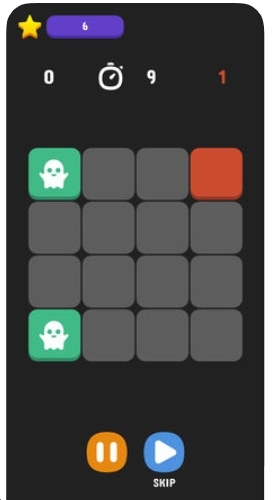 Then tap the screen and the ghosts will disappear and the board will either rotate or flip over. Can you find the ghosts? I have not played this game very much. But it does seem fun.